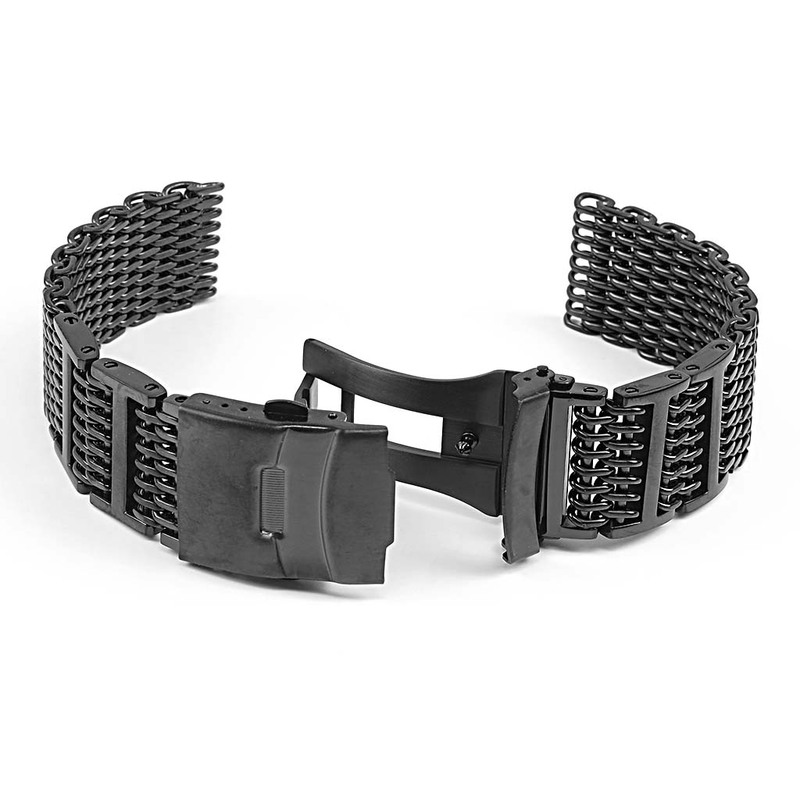 Shark Mesh watch band with removable H-links for easy length adjustment. Can also be shortened by 5mm at the clasp. 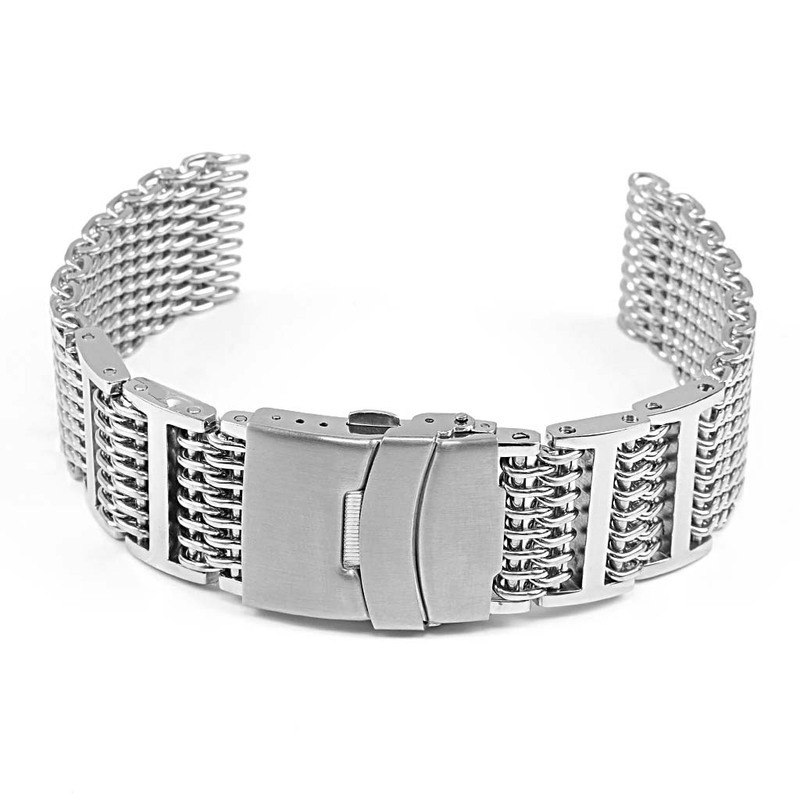 Gorgeous, heavy, glittery bright steel bracelet. Nice clasp. Makes my Frederique Constant look very sharp! I was very surprised at the quality of this band. It has a nice weight to it and feels super sturdy. And wow!! is this thing gorgeous in person. I will probably buy another or 2 for some of my other watches. This is a solid buy!! And I love the fact that the pins for the H-Links are screw in not push in, made it super easy to adjust. Nice quality at this price point. It feels solid and has a good weight to it. The welds are clean and all of the links are even. Clasp is secure. 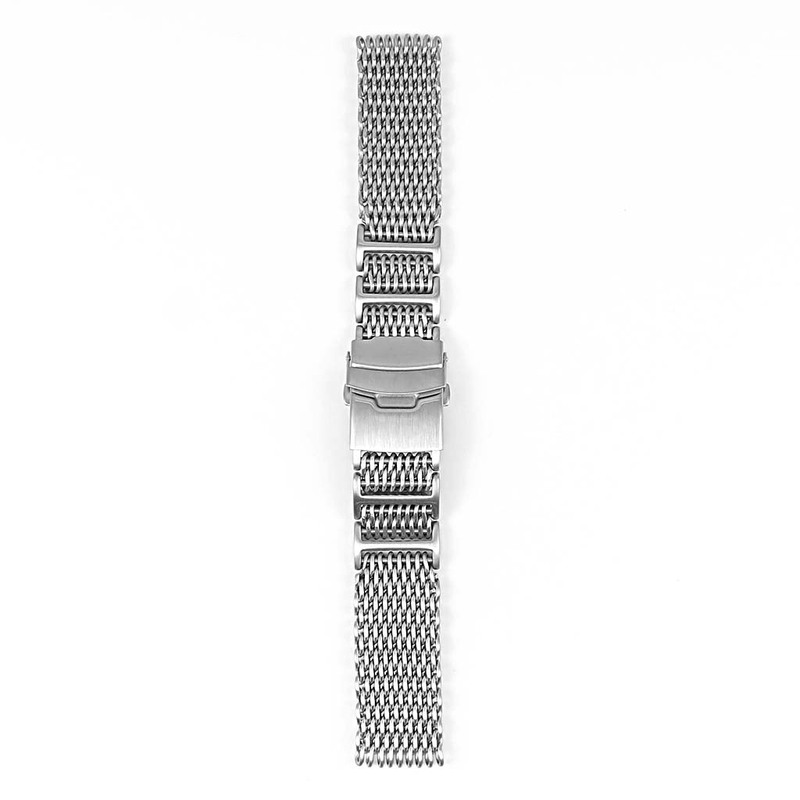 This particular band with removable links was definitely the way to go for easy sizing. You will need a tiny screwdriver to remove the link pins. The matte finish goes well with a satin/brushed casing. 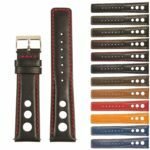 Excellent customer service – I would highly recommend buying from StrapsCo. 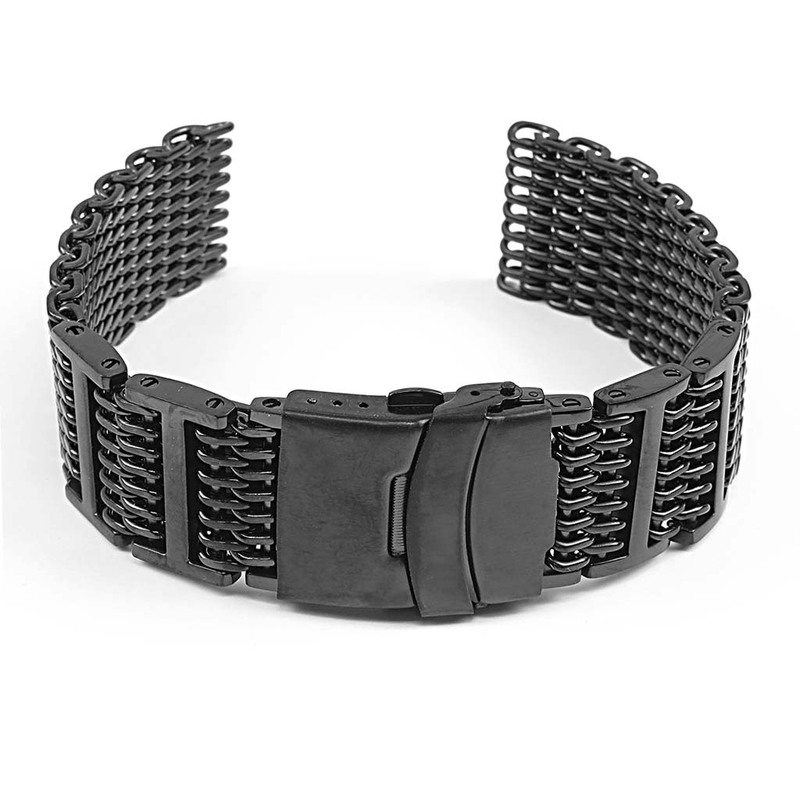 This bracelet is solid, well made, easy to adjust. 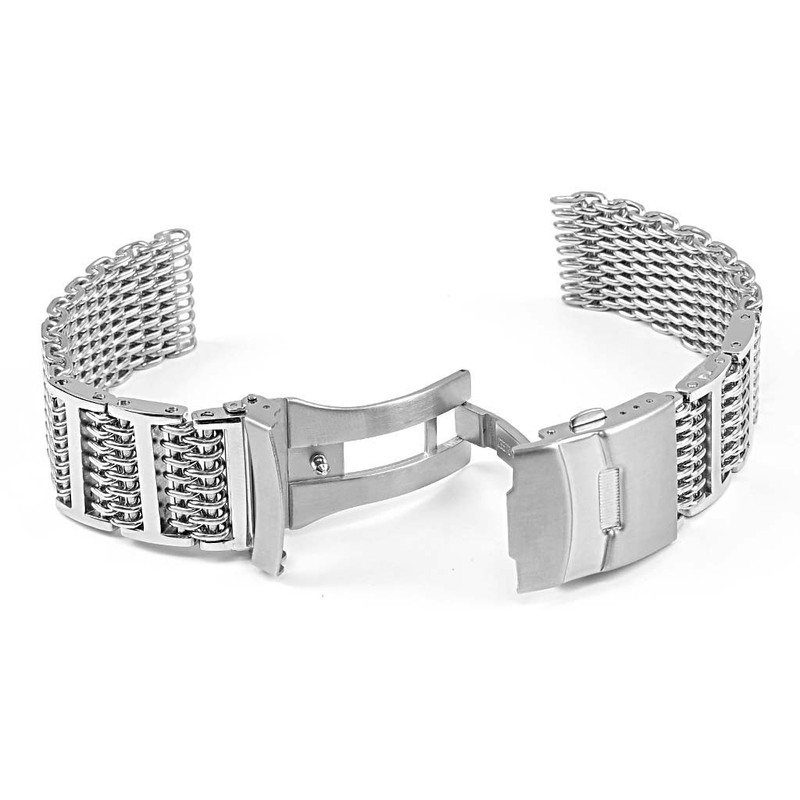 A wonderful bracelet at a reasonable price. I would purchase again if needed. Fantastic quality. Great for my Citizen Promaster Dive watch that I’ve had for over 15 years now. 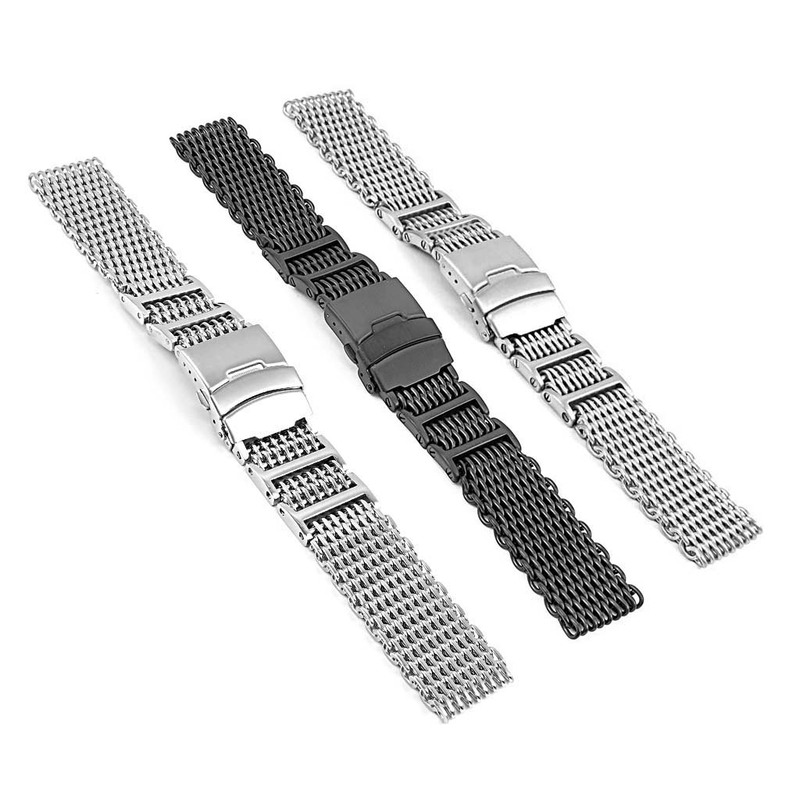 Very easy to adjust the band to your size and looks great. I have thinner wrists and had to take all but one link out. 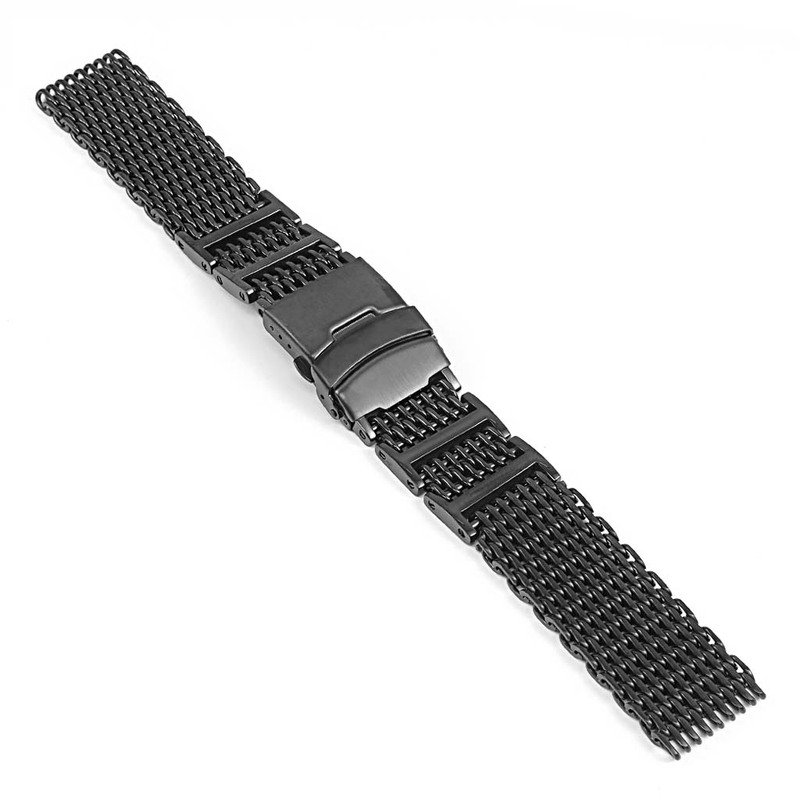 – This strap would fit the heftiest of wrists down to the daintiest (mine aren’t dainty but thin … thin I said) Great Customer service as well. If you need any sort of strap look here first. – Better prices, quality, and attentive service than you would get with even Amazon … I love amazon so this is a super endorsement. pretty solid. Great for the price I would say. Nice and thick. I have 6.5 inch wrists and will need to cut the mesh down to fit, even after taking all of the help links out and using the last micro adjustment hole. Otherwise the build is great for the price.